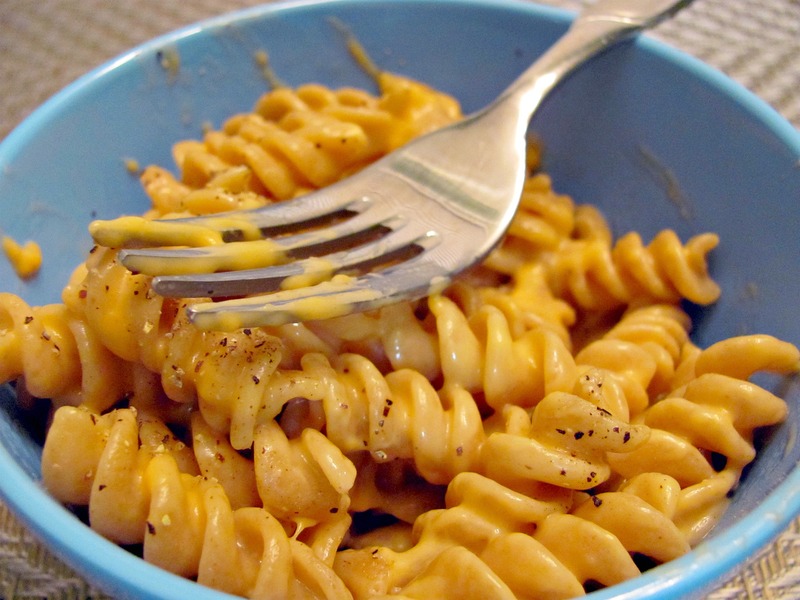 I found this recipe originally on Busy Buy Healthy‘s blog and was totally craving mac & cheese tonight. This is pretty high calorie, so I recommend this as a “splurge” meal! I absolutely love this Daiya vegan cheese because it MELTS!!! LIKE CHEESE!! Yeah, it doesn’t taste like dairy cheese but, it still tastes good. I used 1/2 the milk the recipe calls for; I actually used soy milk instead of almond milk, like the original recipe. Somehow I got out of Sweetbay with sweetened soy milk instead of unsweetened (when I was on a mission to get unsweetened…go figure! ), but it still was tasty. I also used wheat rotini instead. Good Monday night comfort food. 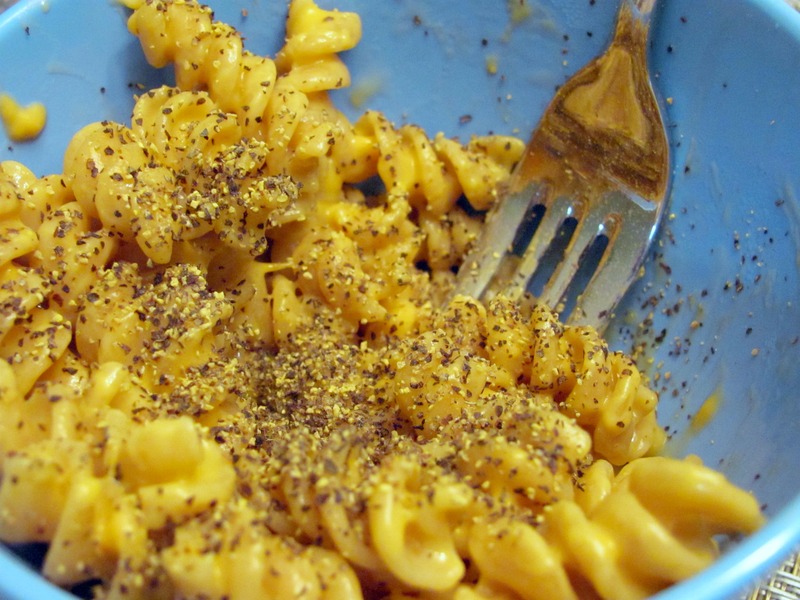 I have eaten my mac & cheese with tons of black pepper since I was a kid. Prepare pasta as per package directions. When cooked, strain pasta, but do not rinse. Return to pot and put it back on the stove on low heat. Add the Earth Balance and the milk, then stir to coat. Add cheese and stir, stir, stir. It takes slightly longer for the Daiya cheese to melt than cow cheese, so keep stirrin’ until it’s ooey gooey and melty. Serve immediately. I love mac and cheeze! It looks so yummy! I recommend adding a little nutritional yeast to give it that “savory” flavor as well.